My kids love Tacos. In fact, my oldest reminds me every week that we need to have tacos on Tuesday. When were stationed at Fort Bliss, I learned from some good friends how to fix tacos and other authentic Mexican dishes “the right way.” Well, we followed the trend of having Taco Tuesdays and it kind of just stuck! I would occasionally spice up the tacos a bit by making a nacho taco meal or even soft shell nachos. However, after serving tacos for so long, I decided to kick it up a notch and try something new. 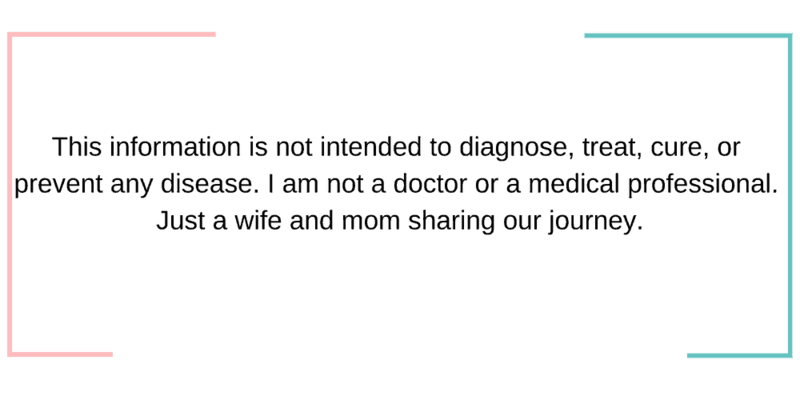 Well, kids have a tendency to strike down change because they become creatures of habit, but I enjoy creating new twists on the same old meals. 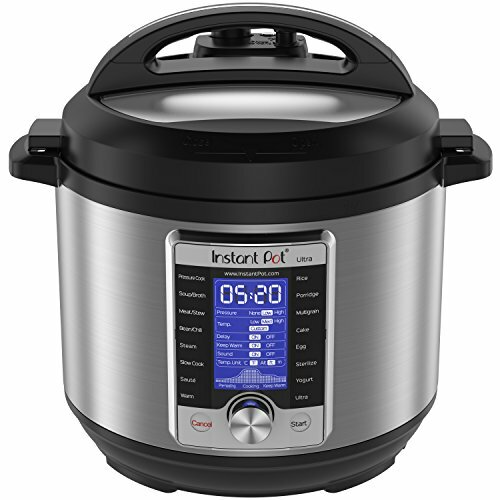 Well, I surprised my kids by coming up with a compromise and another winner for me because it is perfect for the Instant Pot! 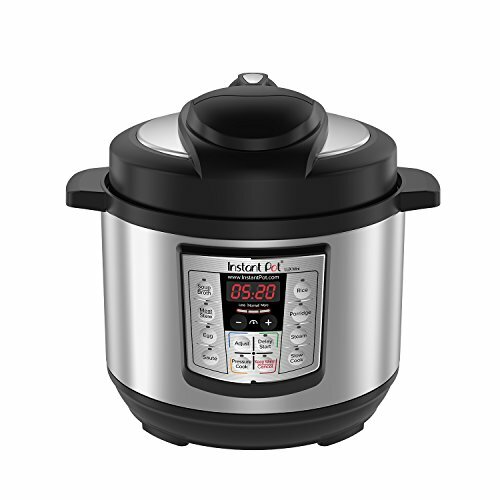 If you’re looking for a new and delicious Instant Pot recipe, you just found it! 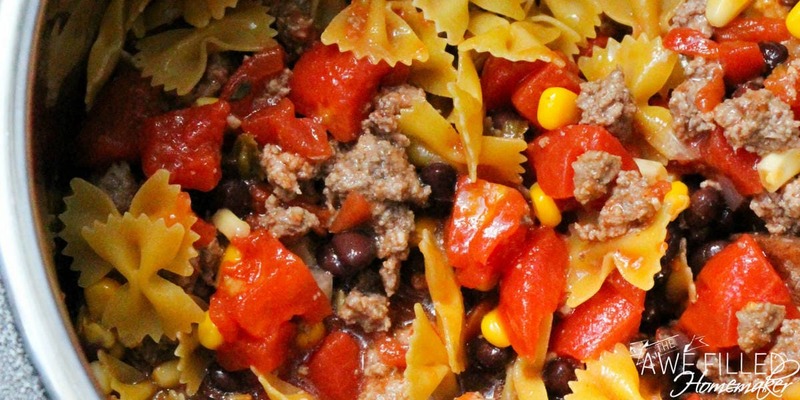 This Instant Pot Taco Pasta is quick and scrumptious! You can also add or substitute all sorts of yummy ingredients not listed below to make it your own. 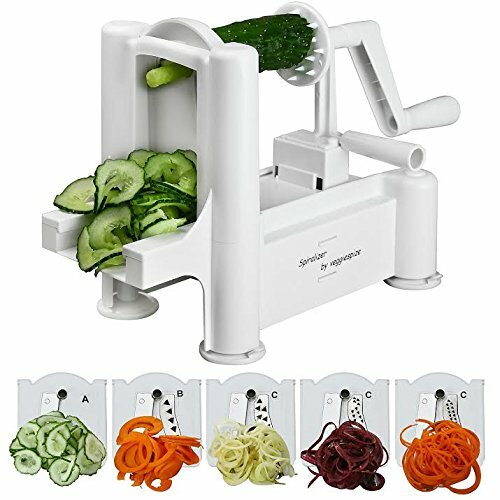 For instance, this would be super easy to use with spiralized zucchini (zoodles) if you eat a low carb diet. Keep in mind that you would need to adjust the cooking time for the zoodles. Turn the IP on the saute setting and add the garlic, onions and ground beef. 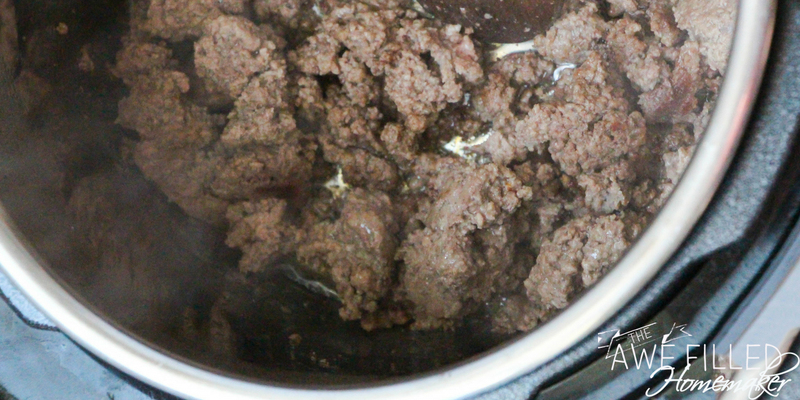 Cook until the ground beef is fully browned, stirring constantly. 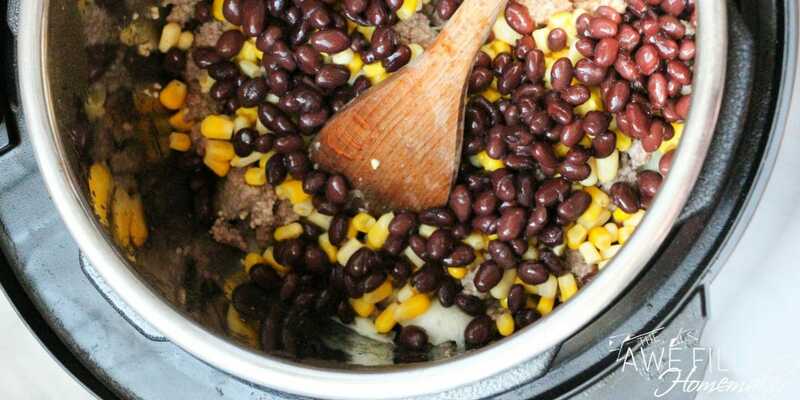 Add in the black beans, corn, tomatoes, sauce, pasta, broth and seasoning. Stir to combine. 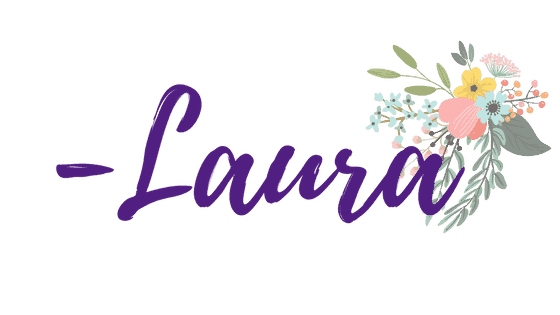 Place the lid on the IP and turn off the saute setting. 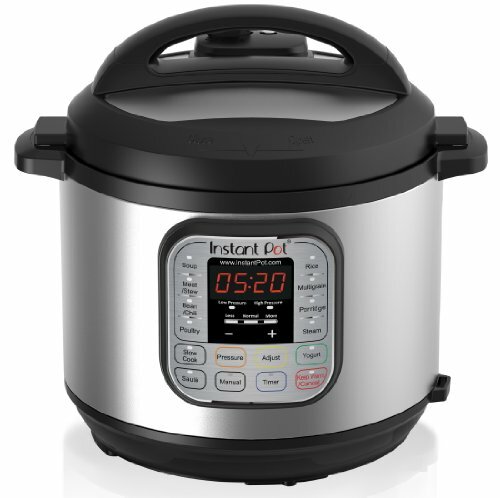 Select the soup/stew setting for 10 minutes, then natural release. 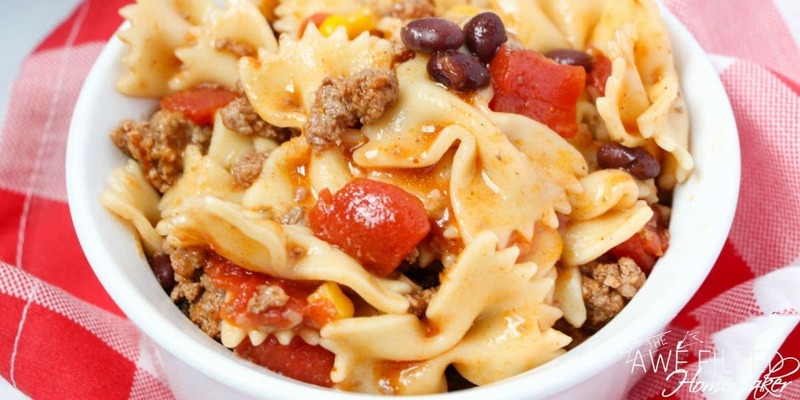 Serve with a sprinkle of cheese and dollop of sour cream, as desired. 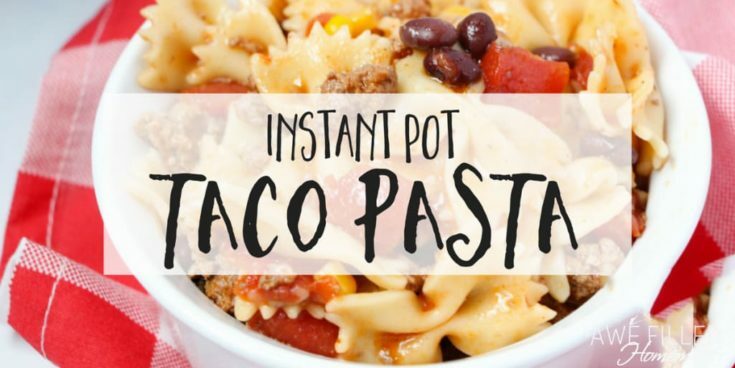 Don’t Forget To Print Out Your Instant Pot Taco Pasta Recipe! 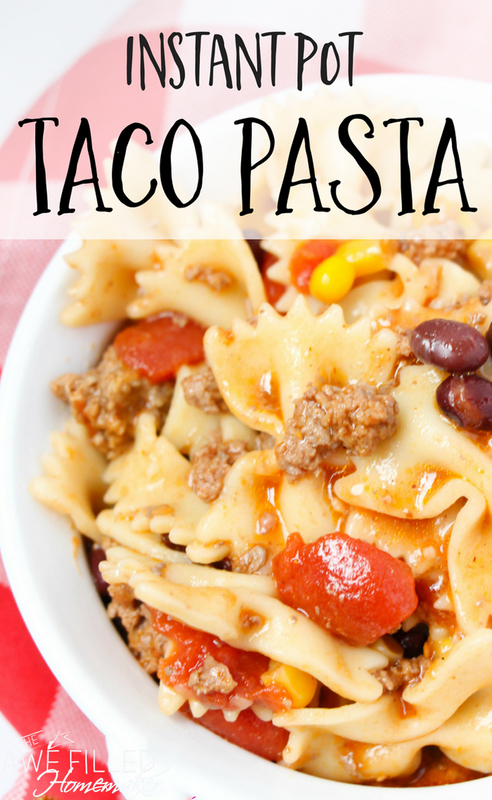 This Instant Pot Taco Pasta is quick and scrumptious! You can also add or substitute all sorts of yummy ingredients not listed below to make it your own.